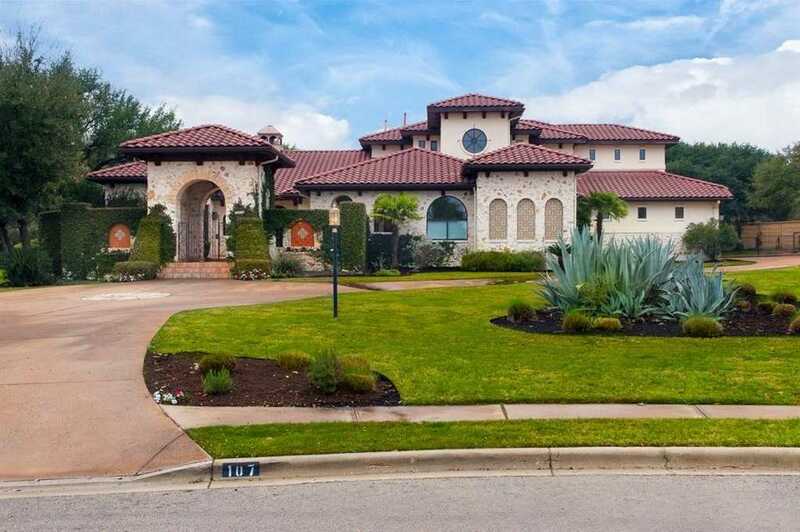 Spanish Hacienda on cul-del-sac lot in the gated community of Flintrock Falls. Resort style living with Country Club, restaurant and Jack Nicklaus golf course within the gates. Chef’s kitchen opens to a spacious living room with a wall of sliding glass that flows to the outdoor covered patios. Master bedroom, Executive office, built in secondary office and a private guest suite on the main floor. Upstairs features Game room with wet bar, dedicated media room and two guest suites. Lake Travis ISD!